This book presents, in an innovative and effective way, a detailed coverage of Greek history from the period of colonisation through to the death of Alexander the Great. A prologue introduces the reader to the various types of source material used by historians, and wherever possible the most relevant examples of this - both written and archaeological - have been provided or referred to, giving the benefit of firsthand contact with the sources. The text would be used most effectively in conjunction with the most recent publication of the written sources. The book contains many photographs, maps and diagrams, and includes time lines, summaries, mapping exercises and study questions through which the reader comes to grip with the major issues. 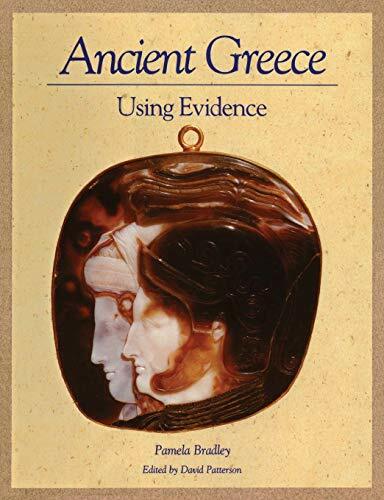 This is not only an excellent preparation for examinations in Ancient History, but also a very readable and entertaining account of the main periods in the history of ancient Greece. This book presents a detailed coverage of Greek history from the period of colonisation through to the death of Alexander the Great. This is not only an excellent preparation for examinations in Ancient History, but also a very readable account of the main periods in the history of ancient Greece.